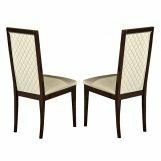 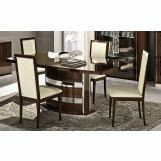 This Roma Collection by ESF Furniture rich and luxurious dining set includes dining table with pedestal base and 18" extension, and 6 upholstered chairs. 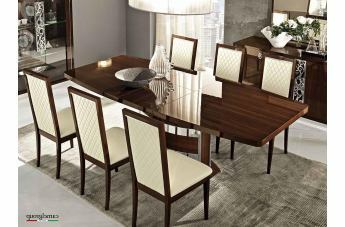 The table and chairs' frames are finished in beautiful walnut lacquer. 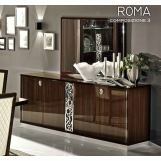 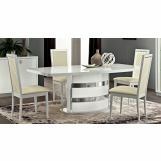 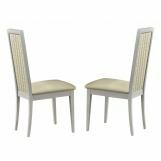 Made with the finest Italian craftsmanship, the Roma dining set is an epitome of class, elegance and functionality. 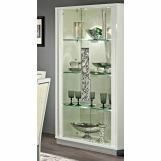 2-Door Curio and 4-Door Buffet can be added to the set. 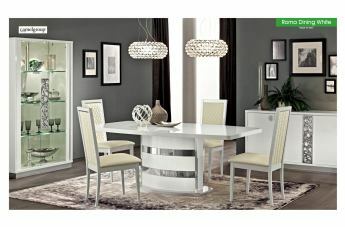 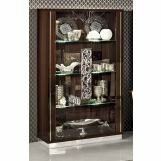 Curio and Buffet are accented with elegant silver finish handles and equipped with soft self closing doors.